Our face-to-face Course Design Workshops have helped hundreds of faculty members design effective and innovative courses over the past decade. We now have an Online Course Design Tutorial that guides you independently through the same practical and intellectually interesting process that our workshop participants experience. This web page provides a short synopsis of the key elements in our course design process. We hope that you are intrigued enough to explore and use the full Online Course Design Tutorial. We believe that a course should do more than provide students with a strong background of knowledge in a field. We believe that a course should enable students to use their strong backgrounds to solve problems. A truly valuable course should focus beyond the final exam to add to students' future lives, abilities and skill sets and prepare students to think for themselves in the discipline after the course is over. Designing such a course is a challenge and involves providing not only opportunities for students to master content but also opportunities for students to practice thinking for themselves in the discipline so that they will be prepared to do so after the course is over. Our Tutorial provides a process to help you design just such a course. Course context. Teaching a course involves making choices about what an instructor will ask students to do and why. External factors such as course size, context, student demography, and support structure are significant and should influence the choices that need to be made during course design. We begin the design process by having you articulate who your students are, what they need during the course, and what they might need in the future. Setting overarching goals. The heart of our course design process involves having you set student-focused goals that enable your students, at an appropriate level, to think for themselves in the discipline, not just expose them to what professionals know. You will set goals that focus your course on developing students' abilities to think for themselves and solve problems in the discipline while still addressing mastery of content. 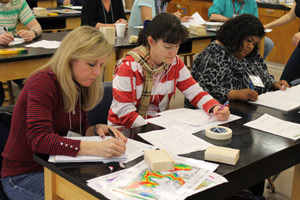 analyze the modern geologic processes in an unfamiliar area and assess potential hazards to humans (which is different from recalling those covered in class). evaluate the historical context of an unfamiliar event. access and analyze climate and paleoclimate data sets in various formats (tabulated, graphical, simple strat. column, satellite photo, etc.) and make logical inferences about climate and environmental change from the data. develop and test age-appropriate lesson plans. Take me to the Course Design Tutorial. 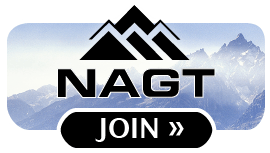 This material is part of On the Cutting Edge, a professional development program for current and future geoscience faculty. 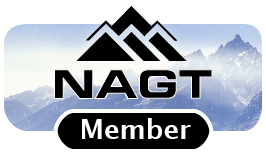 On the Cutting Edge is sponsored by the National Association of Geoscience Teachers with funding provided by a grant from the National Science Foundation-Division of Undergraduate Education . On the Cutting Edge is part of the Digital Library for Earth System Education (DLESE). ©2005 On-line Course Design Tutorial developed by Dr. Barbara J. Tewksbury (Hamilton College) and Dr. R. Heather Macdonald (College of William and Mary) as part of the program On the Cutting Edge, funded by NSF grant DUE-0127310.